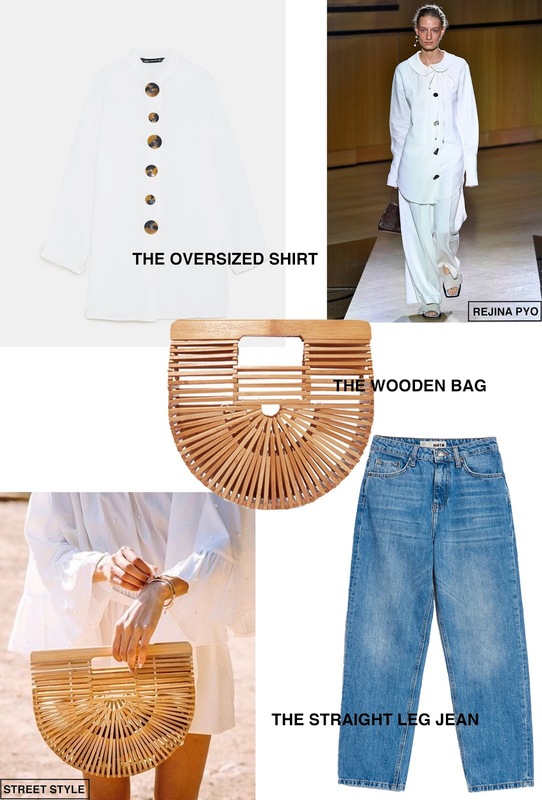 THE OVERSIZED SHIRT zara. THE WOODEN BAG cult gaia. THE STRAIGHT LEG JEAN topshop. 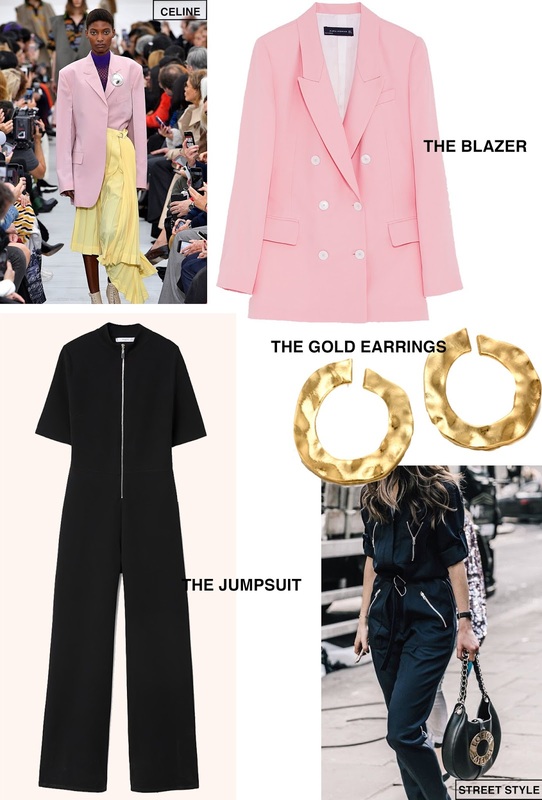 Spring has officially begun meaning there are new trends to get excited about and new pieces to buy. 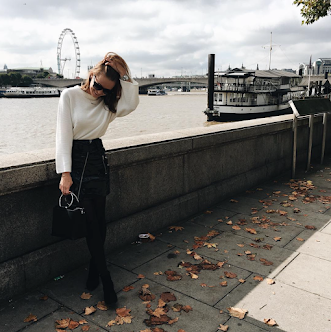 It can seem a little overwhelming when you have so many options and every trend is the 'must-have' trend - what can a girl do? THE TRENCH COAT river island. THE CASHMERE JUMPER h&m. THE WHITE TRAINER kurt geiger. This is when your capsule wardrobe staples become super important and act as the backbone to your new purchases. High-quality pieces that you can mix and match with on-trend bits amd throw on without much worry. THE WHITE TEE weekday. 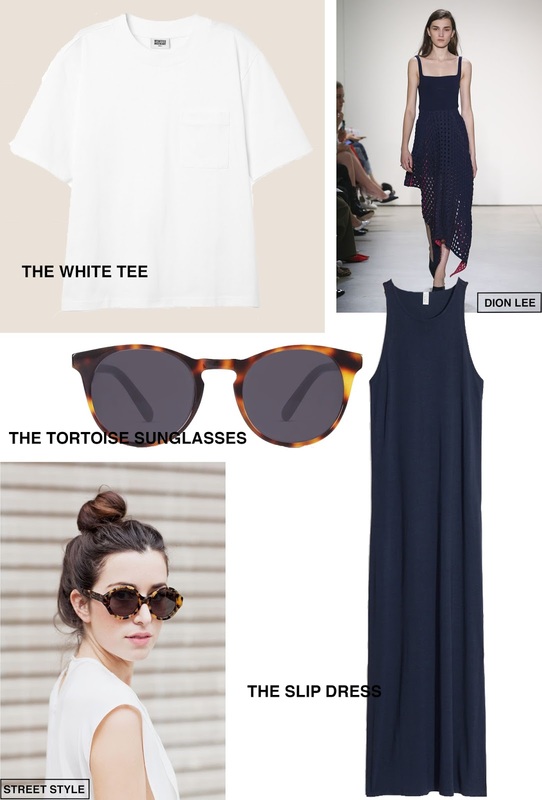 THE TORTOISE SUNGLASSES finlay & co. THE SLIP DRESS & other stories. You will live and die in Topshop's straight leg jeans and Kurt Geiger x Michael Kor's white trainers as they'll be you're everyday basics. River Island's trench coat and Zara's oversized shirts will be your favourites too with both pieces given a nice design twist. THE BLAZER zara. THE GOLD EARRINGS the outlier. THE JUMPSUIT mango. And wardrobe staples are anything but boring! Cult Gaia's bamboo clutch and The Outlier's hammered gold hoops will make any outfit stand out. Finally, invest in a piece luxury with H&M's cashmere v-neck jumper or Finlay & Co's tortoise shell sunglasses. Images from Pinterest and Vogue.